It’s only been a few months, but the Google Assistant has already become a reliable companion for me. The daily weather forecast, sports scores, news reports, and Google’s ever-present smarts make it something that fits the test for what makes a good technology. You wonder how you lived without it. The presence of the Google Assistant in the Pixel and Google Home, however, brings into sharper focus the other side of that two-edged-sword of new tech. It makes you crave more. In the case of artificial intelligence and digital assistants you don’t have to wonder, because Amazon’s Alexa is spreading everywhere. Other competitors won’t let up, with Microsoft pouring tons of resources into Cortana and Apple continuing to invest in Siri. The main missing hole with the Google Assistant is deeper integration with third-party services and products. While it already works with some smart home hardware like Philips Hue and Samsung Smart Things, many others are on the roadmap. But what should it look like? Google’s Conversation Actions API is a place to start. On a surface level, the workflow looks rather similar to Alexa’s skills, with you able to launch a specific bot that then can perform a range of tasks related to its specialty. My hope when this reaches the mainstream is that Google’s APIs and developer support turns the Assistant into a natural, reliable conversationalist. The company acknowledges that this is no easy task, but definitely has plans to get there. I have a theory in technology: people don’t like to do weird stuff. This is one reason why, I believe, Google Glass never caught on. Most people don’t want to wear a computer on their face. Smartwatches suffer from some of this syndrome, as many don’t want to do complex computing tasks while squinting at a tiny screen on their wrist. Talking, however, is more natural. And the more human-like the Assistant can be, the less people will feel like they’ve invited a killer robot into their home. Assistant should engage in more natural conversation by listening for follow-up questions or commands after it answers. This type of engagement will be important for third-party agents, as getting a recipe or a walkthrough on some type of how-to guide is bound to generate follow-up questions. Smart conversations need smart partners. 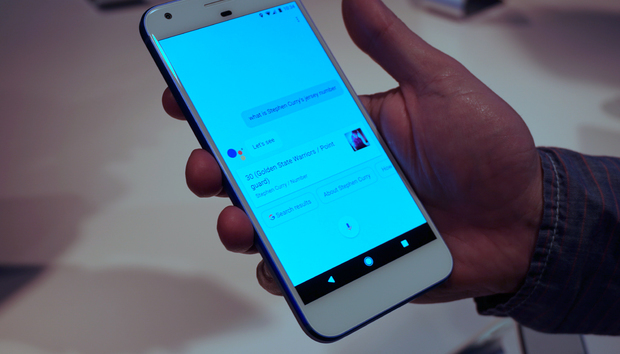 The Google Assistant can improve in the near-term very quickly with a larger team of buddies that specialize in different tasks. For example, currently I can ask Google for the score of the latest Golden State Warriors game or when they play next. Down the line, perhaps I’d be able to invoke an agent from ESPN or another sports provider who would be able to answer more detailed questions about a player’s performance, read out relevant news stories, or even participate in a trivia game. These type of interactions at a deeper level shouldn’t all be handled by Google’s algorithms. News providers and third-party apps and services can offer a larger bank of specialized knowledge for their areas of expertise. The same can be said for numerous other services. Imagine being able to tap into the deep recipe bank of Blue Apron and getting step-by-step directions, or a walkthrough on how to replace a door handle. Again, the vision will best be served by different apps and services taking advantage of Google’s developer tools. The next-generation Nvidia Shield Android TV includes the Google Assistant. The promise of a smarter TV existence is just around the road. But it needs to go deeper than just searching for a TV show title or movie recommendations. A Google Assistant can learn your preferences and get smarter than the current tools you get from your dumb TV box. But I ought to be able to ask questions about programming, get details about the historical period, and schedule and save programming from anywhere the Assistant is at. The Apple TV and Xbox have tried to get there, but no one’s quite nailed it. If there is indeed to be a YouTube TV service, the Google Assistant ought to be at the controls. While attending Dreamforce last year, I was shown a development version of an Echo that had Alexa programmed to interact with the company’s Salesforce services. I was able to request an invoice and file paperwork with just a few voice commands. It was a much better experience than navigating the drop-down menus found in most enterprise software or the Office ribbon. Google’s G Suite and consumer-focused apps are a perfect target for such integration. Down the road, I’d love to be able to ask Google Drive for a status update on a document that my collaborators are working on, or how many words are inside of a current file. You can dictate your writing in Google Docs, but a Google Assistant could take things much further. Given that the Google Assistant can currently dictate a text message, crafting and replying to emails or other productivity tasks isn’t a stretch. Instead of asking for an update, it may be the Google Assistant talking to me about what’s the latest going on with my workflow. Hey Google, where’s my car? Issuing voice commands to one’s car isn’t a completely new idea. I have a Ford Explorer with Sync. And the voice assistant is absolutely terrible. I’ve stopped using it. So Amazon definitely has the right idea in pushing integration with vehicles. I don’t live in the midwest, but if I did I’d love to be able to issue a voice command to start the car so it can warm up the engine before trekking off in the snow. Google can definitely do well at this game. Android Auto is pretty useful, but the Google Assistant could deepent the ties to you and your car. Imagine being able to ask Google if the oil level is low or how many miles you have left before the next service appointment. Or asking Google to ready a set of driving navigation instructions to have at the ready when you hop in for the next road trip. Google already tries to give you a heads up about traffic alerts, but those are buried inside of Google Now. Android Auto is also a decent start, but what we want from a Google Assistant is a deeper degree of real-time knowledge and complexity. A true digital assistant can give you an alert while you’re on the road without a distracting push message on your phone. The possibility for an always-there Google is now just on the horizon. But it’s an incredibly competitive space, and from the looks of it Amazon has the lead. But it wasn’t long ago that everyone was gushing over the iPhone and Android was just an ugly also-ran. If any company has the computing smarts to take us to this brave new world, it’s definitely Google.